Magnesium research has boomed within the last 20 years. The real breakthrough came at the start of the new millennium with the discovery of a plethora of possible Mg homeostatic factors that, in particular, included putative Mg2+ transporters. Until that point, Mg research was limited to biochemical and physiological work, as no target molecular entities were known that could be used to explore the molecular biology of Mg homeostasis at the level of the cell, tissue, organ, or organism and to translate such knowledge into the field of clinical medicine and pharmacology. Because of the aforementioned, Mg2+ and Mg homeostasis, both of which had been heavily marginalized within the biomedical field in the twentieth century, have become overnight a focal point of many studies ranging from primary biomedical research to translational medicine. The amount of literature concerning cellular Mg2+ transport and cellular Mg homeostasis is increasing, together with a certain amount of confusion, especially about the function(s) of the newly discovered and, in the majority of instances, still only putative Mg2+ transporters/Mg2+ homeostatic factors. Newcomers to the field of Mg research will thus find it particularly difficult to orient themselves. 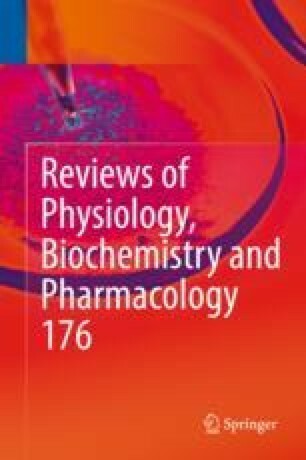 Here, we briefly but critically summarize the status quo of the current understanding of the molecular entities behind cellular Mg2+ homeostasis in mammalian/human cells other than TRPM6/7 chanzymes, which have been universally accepted as being unspecific cation channel kinases allowing the flux of Mg2+ while constituting the major gateway for Mg2+ to enter the cell. Our gratitude is due to Dr. Theresa Jones for linguistic corrections. This work was supported by the grant “Return Home” issued by the Government of Slovak Republic to MK and also by the project “Creating a New Diagnostic Algorithm for Selected Cancer Diseases” (ITMS: 26220220022) co-financed from EU sources and the European Regional Development Fund. The authors declare no conflict of interests. All authors read and approved the final version of the manuscript. MK and GS wrote the manuscript, and IP, MC, ZT, TW, and PR contributed to the manuscript writing.